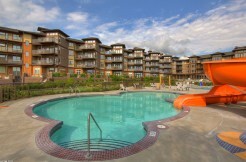 Welcome to Lakefront Luxury Living at one of the Okanagan’s finest getaways, The Cove Lakeside Resort. 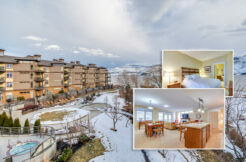 This is the largest layout at 2380 sqft, this top floor PENTHOUSE gives you 3 bedrooms + loft and den, 3 and a half bathrooms with plenty of room for the whole family or large group bookings. Main living areas are highlighted by vaulted ceilings, tasteful finishes and 2 spacious balconies with spectacular views of Okanagan Lake. 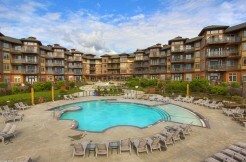 Great investment property that is the only COVE unit that has the option to be self-managed! Pay off your investment with annual revenues of $80,000 the past 2 years in a row; this summer already 50% booked in advance with weekly summer rental rates of up to $3500. Minutes away from parks, hiking trails, beaches, wineries (Mission Hill, Quail’s Gate) and more! 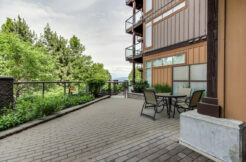 Call the Chris Chung today at 250-899-8327 or visit www.LetnickEstates.com for more details.